Yes, Glenda, we’ve all experienced insufferable passive aggressive managers and staff. Snide little comments, copying department heads on jabbing emails and rehashing a volunteer error in staff meetings are their emotional roller coasters that just go off track and belittle volunteer managers. So what can we do? Do we have to ride this frustrating coaster or can we simply just get off? Well, for what it’s worth, I finally got really tired of a few passive aggressive staff who routinely dragged me onto their caustic car and I decided to say no to their desire to control my emotions with their passive aggressive behavior. So, here are my suggestions on ways to respond to these staff members who want to get a “rise” out of you. Check your emotions. The point of the passive aggressive staff member’s snarky behavior is to get you emotionally involved. Quash those emotions and become professionally detached. The staff member who loves to goad people will get no satisfaction from your neutral demeanor and will seek other prey. Don’t strike back. If you don’t like the tone of an unreasonable emailed request that is copied to department heads and meant to bait you, begin your reply with a cool, unruffled, “Thank you for your confidence in the volunteer department. It is always our goal to provide the very best volunteers for each situation and to treat our clients with the respect and professional service they deserve. Because I view this request with the same importance as every request, I will keep you posted on our progress every step of the way.” The passive aggressive staff wants you to complain that the request is unreasonable, so don’t jump on that ride. Make them prove it. When a staff member complains that “the volunteer requests are not being met on time,” pin them down with, “Can you give me concrete examples of requests that were not met on time? Without specifics, I really cannot make improvements and it is my sincere desire to continually improve volunteer services. So, what are those examples?” Broad statements without factual backup are a favored route of the passive aggressive staff so make them give you something that you can work with. Deflect unwarranted blame in a professional way. Called out in a meeting because a staff member did not get something done and they want to blame lack of volunteers? Pick the right moment to stand up and say, “While it is unfortunate that we were only able to get 3 volunteers for this request, I would just like to take this opportunity to reiterate that volunteer services will do everything in our power to supply the right volunteers for all requests. Obviously the sooner we get a request, the more time we have to engage our volunteers. Last minute requests will be treated with high importance, but sometimes we have more than one last minute request.” Don’t get into finger-pointing but take the opportunity to educate staff on how to request volunteers. 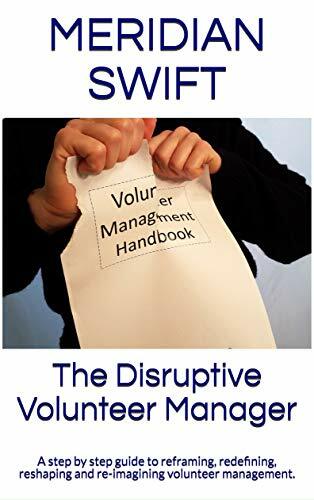 Defend the volunteers in a professional manner. 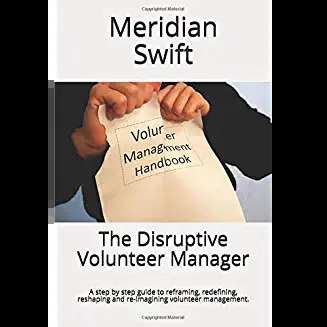 Passive aggressive staff that “joke” about volunteer mistakes or qualifications can be reminded that volunteers are real people who give of their time and accomplish much for clients. Try saying, “While yes, volunteer Mary didn’t send that visitor to the right station yesterday, did you know that she is caring for her seriously ill husband right now and is admittedly, a little scattered? It’s amazing that she takes her volunteer job so seriously that she continues to come in for her shift, don’t you think? And even more amazing is that Mary donated over 300 hours last year in our reception area.” Staff members need to see volunteers as real human beings who donate valuable service time. The sad reality about passive aggressive staff is they are not really serious about teamwork and solutions. They are not interested in honest communication but instead, want to manipulate our emotions and drag us along on their melodramatic trek. With some staff members you have to stick to a strictly professional, emotionless communication. When they realize that they cannot involve you in pointless emotional back and forth, they will move on. While it’s unfortunate that some folks have little interest in teamwork and solutions, you don’t have to indulge them. Volunteer managers have far too much meaningful work to do to get caught up in mind games. Even though roller coasters are meant to be fun, passive aggressive roller coasters are neither fun nor productive. You don’t have to get on one. Whoa! GREAT STUFF in this article. I am printing it and Iâm going to slip it into my secret hidey-hole in my desk. When Ms./Mr. Negatory comes in with a story, Iâll be well prepared to manage the situation. Kudos to you, Meridian! Thanks so much Colette, glad you found some encouragement in this post. I remember the last time I asked a manager to give me some examples of whatever their complaint was so that I could work on actually fixing the problem and I got a long, thoughtful look. But the next time, I got specifics which I was happy to address. Thanks Eileen, please feel free and appreciate it very much!